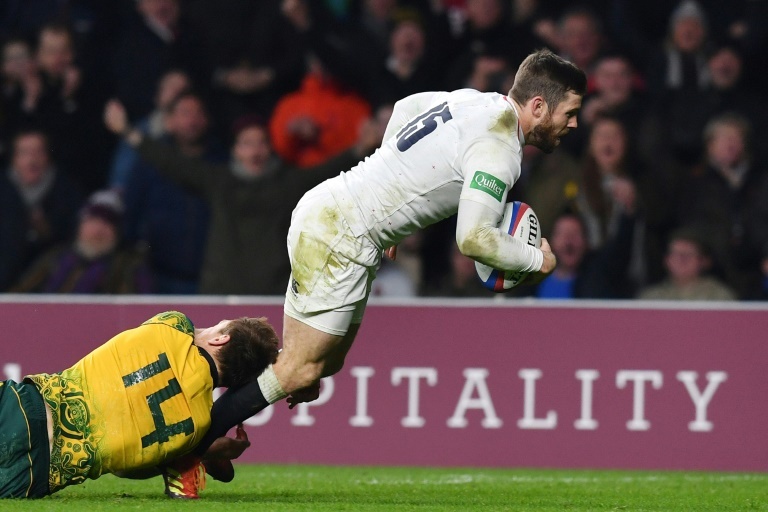 RUGBY NEWS - England international Elliot Daly will join Saracens in the summer, the English Premiership club confirmed on Tuesday, a day after it was announced the 26-year-old was leaving Wasps at the end of the season. The versatile back, who can play at full-back, wing or centre has signed a deal until summer 2022. "I believe it is the right time in my career to explore a fresh challenge and the opportunity to do that with Saracens really excites me," Daly said in a Saracens club statement. "It's a fantastic club which has had a lot of success in recent seasons and that's something that I want to be a part of. "I've played with a few of the lads for England and the (British and Irish) Lions, as well as enjoyed battles against them in the Premiership, and I'm looking forward to calling them club team-mates from next season." Capped 26 times by England, Daly set up his country's opening try and scored the visitors' second as they launched their Six Nations campaign with an impressive 32-20 victory against reigning champions Ireland in Dublin on Sunday. Saracens director of rugby Mark McCall said: "We are looking forward to welcoming Elliot to the club next season. "He's a talented player and at 26, his best years are ahead of him. Everyone at Saracens is excited to see him fulfil his potential with us."